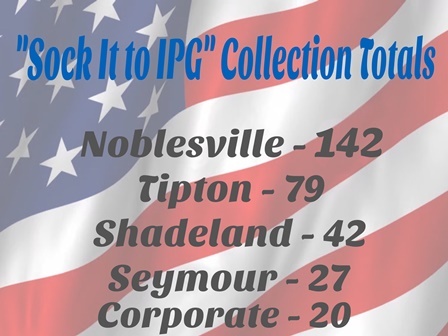 Keep up with each of our offices as they compete to collect the most socks for our 2nd annual "Sock It to IPG" sock collection drive! All socks and proceeds collected between now and December 31st will directly benefit homeless veterans and their families right here in central Indiana. It is our goal to help keep feet safe and warm this winter season. You, too can help by donating any new or gently used socks to any of our 9 locations.